There are not many games out there that can say they influenced a generation, whether it was the soundtrack, the skating or simply destroying your friends split screen Tony Hawk’s Pro Skater series has a special place for almost everyone who played the Original 1999 game. It’s been 8 or so years since we’ve had a true follow up to the series after so many spin off games, so as you could imagine I was extremely excited to get my hands on this release. My 1999 teenage self initially wept upon looking at the back of the box and seeing it was only single player, no split screen and to play with up to 20 people myself included online would require the PlayStation plus subscription. With the lack of social aspect of playing with 19 absolute strangers I could tell this was a 21st century take on the skateboarding series I loved so much or as they put it “a new era of skating begins”. 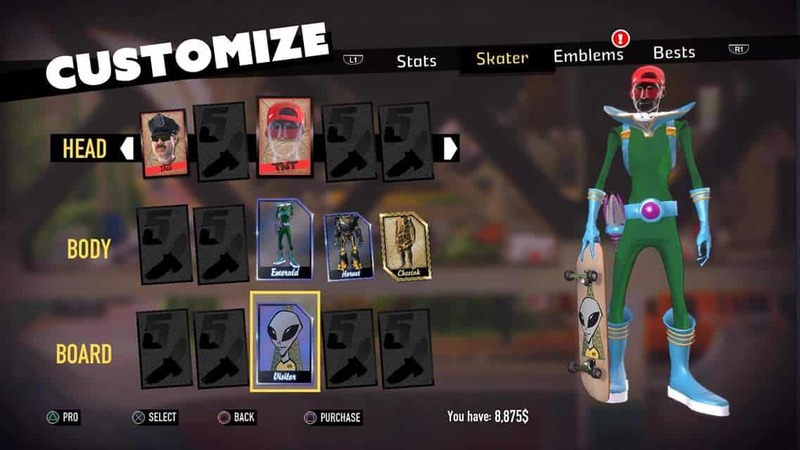 This game boasts 10 skateboarding pros including classic game skaters Tony Hawk (obviously) and Andrew Reynolds amongst 8 pros from all skating styles, what makes me happy about this lineup is the increase of female characters oppose to the usual token girl, they’ve added street skater Leticia Bufoni and vert skater Lizzie Armanto both right at the top of their league right now. Right down to the game! Last minute changes meant they’d favor cell shaded graphics over more realistic styling, where this works well for games like Borderlands it didn’t come across well to me in this game, it reminded me of PS2 graphics with a few added whistles and bells oppose to the mighty ps4 powerhouse experience I was hoping for. You begin in the world famous Berrics skatepark which is 1 of 10 real world locations to skate, the tutorial introduces all the familiar features and goes through the new added one’s with basic tasks helping out old skool and nu skool players alike, it feels familiar and plays very much like the classic series with a few changes such as grind button also having a stomp assigned to finish tricks which will having you screaming “I wasn’t finished with my combo” at the screen but in time you will get this new skill honed. Where specials used to be a case building a bar and then bashing out a combo of buttons to perform the trick, it’s now a simple case of building your bar hitting a shoulder button and pressing the d pad in one direction via a grab, flip or grind button taking away some of the headache the stomp gives. Within the ‘freeskate‘ mode you can collect the S.K.A.T.E letters and even find that old gem the hidden tape well as other classic tasks the actual missions are now picked from a menu or hovering over the task (which I found wouldn’t allow me to start the mission at times). Within the freeskate mode you can start multiplayer games at any point with various game modes each time I personally started a game I always seemed to be playing alone so I’m not sure that’s one of the addressed issues or simply not enough people are playing yet. 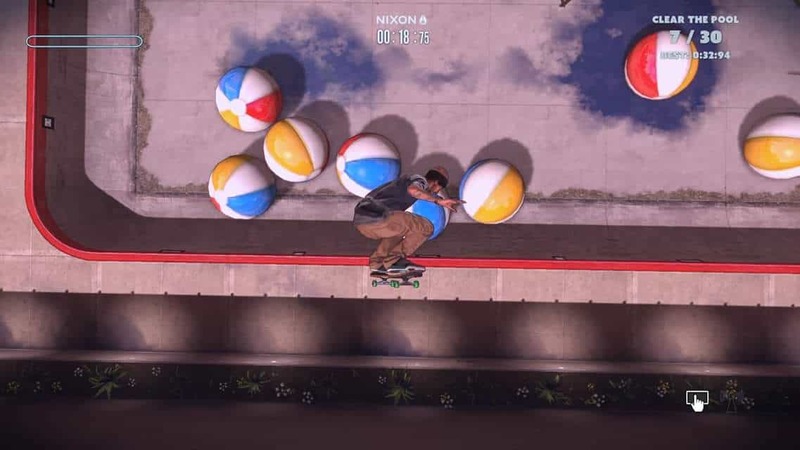 I really enjoy the new open world feel to the parks each park is set to 10 missions and 5 pro missions, I found the first 10 to be a little too simplistic but do have their moments of classic Tony Hawk’s gaming for example emptying a massive pool of giant beachballs, the fun stopped for me at the pro missions asking mammoth tasks in even less time making it feel a bit frustrating feeling like a huge leap from the simple previous 10 tasks. 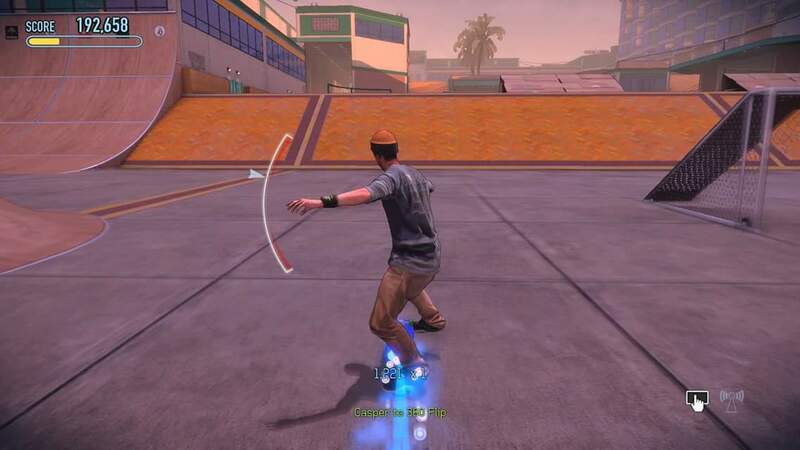 Skater customization is heavily limited to changing head, body or board and I feel they should of added more options after all a lot of the players have gotten used to the spin off games such as Project 8 or Underground’s endless possibilities of making your own avatar to rip it up. 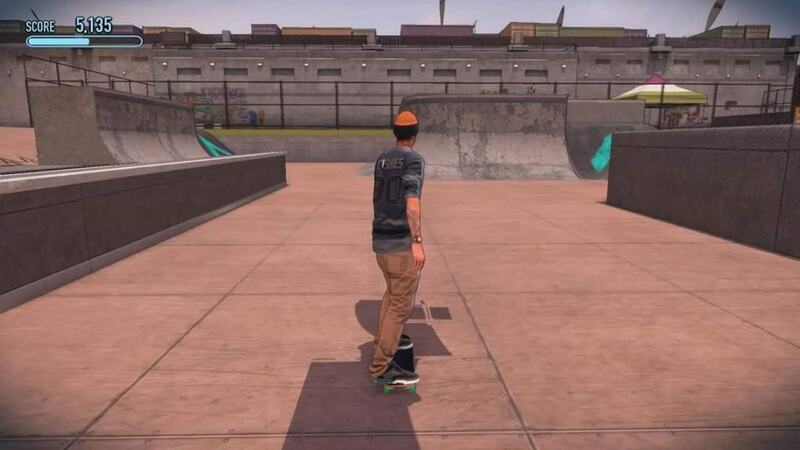 I attempted to create one of my local skateparks in order to test the rebirth of ‘create-a-park’ which brilliantly allows you to share your creation with the games community, it boasts 250+ obstacles but I really felt that could have been cut down by having less different set height obstacles with multiple skins and just make them dynamically editable height wise on the fly. It’s a quick and simple system and you can have hours of fun with it alone knowing a whole community can play your creation. The game missions are fun and have all the joys of what this series is really about and that is pure arcade gameplay with manic button bashing. 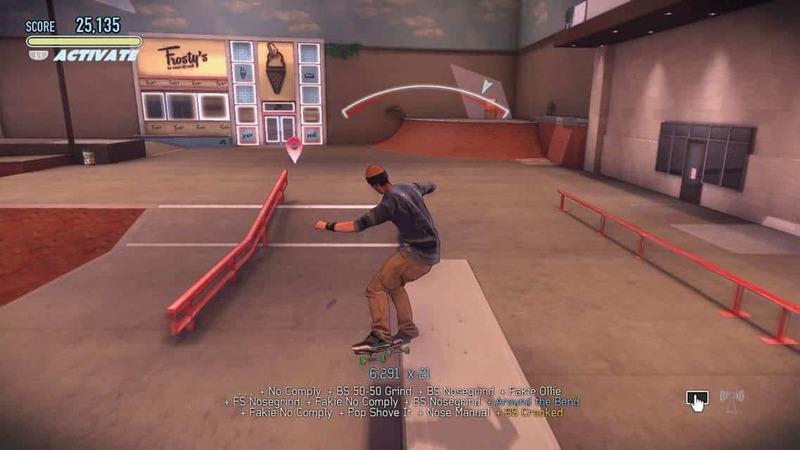 The game is a little rough around edges, the soundtrack is uninspiring and game isn’t without the odd crash or screen freeze but it’s all been acknowledged by the game developers and when addressed I believe this game will be a welcome addition to the Tony Hawk’s family.